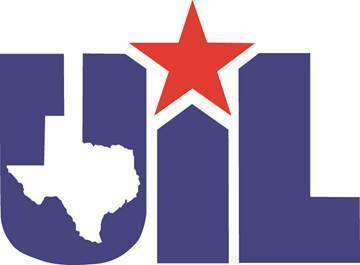 North Lamar High School’s UIL academic teams competed at the District 15 AAAA meet on Wednesday, March 27 and on Monday, April 1 to win the district championship. The top three individuals of each event and the top team will go on to compete at the region on April 13. First place teams are Number Sense, coached by Amy Norwood; Literacy Criticism, coached by Linda Winfrey; and Speech and Debate, coached by Kristi Hodgkiss. Second place teams are Math, coached by Amy Norwood; Journalism, coached by Cheryl LaRue; Science, coached by Chesney Satcher; and Accounting and Computer Science, both coached by Yvonne Parson. Third place teams are Calculator, coached by Amy Norwood and Current Events, coached by Steve Jones. First place individuals advancing are Donato Curvino in Computer Science, Will Rast in Editorial, Teagan Holley in Literary Criticism, Zach Huffman in Informative Speaking, Garrett Holzwarth in Persuasive Speaking, Isabella LoCicero in Prose and Felicity Sefcik in Poetry. Second place individuals advancing are Kris Kirby in Number Sense, Zach Huffman in Computer Applications, Folten Boylard in Headline, Kaitlyn Conlin in Literary Criticism, Mackenzie Walker in Informative Speaking, Isabella LoCicero in Persuasive Speaking and Julian Tellez in Poetry. Third place individuals advancing are Donato Curvino in Math, Garrett Holzwarth in Computer Applications, Will Rast in Copy Editing, Kaitlyn Conlin in Computer Science, Autumn Flick in Literary Criticism, Jordan White in Informative Speaking and Lincoln-Douglas Debate, Bailey Rhoades in Poetry and Jasmin Estrada in Prose. Fourth place individuals are Kris Kirby in Math, Donato Curvino in Science, Katie Hodgkiss in Computer Applications, Folten Boylard in Feature, Clay Carr in Editorial, Jerika Johnson in News, Chance Thornton in Copy Editing, Riley Creggin literary Criticism and Cydney Dean in Prose. Fifth place individuals are Karlie Dawes in News, Chance Thornton in Accounting, Jaden Franklin in Science and earning Top Chemistry Score, Garrick Felsburg in Current Events, Folten Boylard in News, Jerika Johnson in Ready Writing, Grace Drennen in Accounting, Will Culbertson in Computer Science and Samantha Salgado in Lincoln-Douglas Debate. Sixth place individuals are Matthew Vukcevich in Number Sense and Calculator, Melanie Alderete in Lincoln-Douglas Debate and Felicity Sefcik in Persuasive Speaking. Seventh place individuals are Matthew Vukcevich in Math, Donato Curvino in Number Sense and Henry Brown in Accounting. Additional coaches are Tim Russell for Computer Applications, Cheryl LaRue for Ready Writing and Sandra Patterson for Spelling. North Lamar’s Academic Team earned the district championship with 590 points. Following are second place Pleasant Grove with 464 points, third place Paris with 291 points, fourth place Pittsburg with 171 points, and fifth place Liberty-Eylau with 153 points.